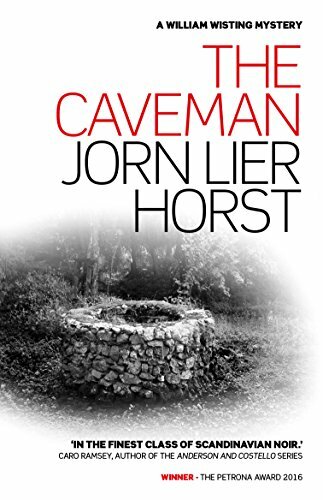 I’ll just briefly review this book by Jørn Lier Horst. I enjoy the William Wisting series of police procedurals, and I enjoyed this one, When It Grows Dark. I think it must have been released recently in Kindle format, because I’m pretty sure I’d have read it before if it had been available. In this episode, Larvik (Norway) detective William Wisting calls on some students in the police academy to help him solve a very cold case. The case involves the disappearance of what we’d call a limousine driver, back in the 1980s. Wisting has recently discovered what he thinks is the missing man’s car, abandoned in a disused barn. But that barn also seems to be connected to an even older crime, going back to the 1920s. And so we enter into a prolonged flashback, in which we observe young William Wisting, then a uniformed policeman, as he follows up some clues on his own time and sets out on the path that will make him a detective. My only real complaint with When It Grows Dark is that the translation is weak in places. Otherwise, highly recommended, as is the whole Wisting series. In the most recent William Wisting novel in translation, Ordeal, we find Chief Inspector Wisting’s journalist daughter, Line, on maternity leave. She is going to be a single mother. Wisting is not over the moon about this (and neither am I), but it’s certainly consistent with the reality of modern Norwegian culture. Line meets, by chance, an old school friend, Sophie, who is already a single mother. They renew their friendship, and Line gets to see Sophie’s home, which she inherited from her grandfather. Sophie was not fond of the old man – he was a criminal – so she’s cleared all his possessions out. Except for a huge safe in the basement, too large to move. She doesn’t know what’s in it because she can’t find the key. But both Line and Sophie are curious, so they do get into it eventually – with dramatic results. Meanwhile, Wisting himself is enduring a lot of press criticism, because of an investigation he’s leading which is making no visible progress. A taxi driver disappeared one night, and neither he nor the cab has been seen since. Wisting and his team will find their inquiry overlapping one going on in another city, and will encounter resistance from a suspiciously territorial detective there. And, as has become usual in these books, Line’s mystery will turn out to be tied in as well. The William Wisting books suffer, I think, from slow middles. There’s nothing wrong with that in itself, but I fear they will lose some readers who expect lots of fireworks all the way through. 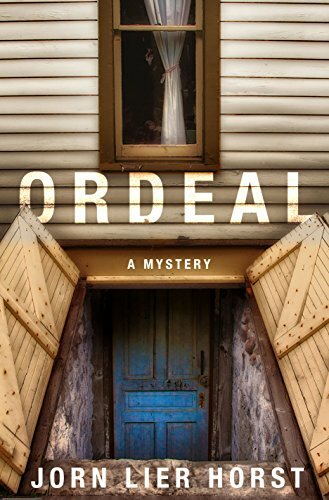 There’s plenty of tension and suspense in Ordeal once it gets going, but it does take a little time. The translation is generally good, but has some truly clunky moments. Recommended, for readers who prefer a more cerebral approach to detective fiction. Cautions for mature stuff. I’m looking forward to the next book. 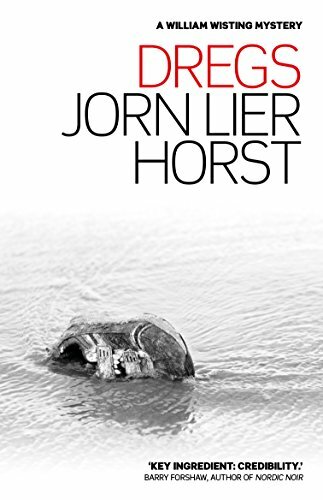 I think I liked this one best of Jørn Lier Horst’s series of William Wisting novels, to date. That probably has something to do with certain personal resonances in the story. In The Caveman, Chief Inspector Wisting’s daughter Line, a journalist, becomes interested in the strange case of an old man who lived in the same neighborhood where she grew up. He sat dead in an easy chair in his home, the television on, for four months before his body was accidentally discovered. Line wonders how anyone could go entirely unmissed by the world for that long, and what the neglect says about modern society. Meanwhile, her father has another case of a long-neglected body to investigate. A decomposed corpse is found under the base of a tree in a Christmas tree farm. It develops that the man was a scholar from the University of Minnesota, who had become obsessed with tracking down a serial killer who has never been apprehended. It appears he followed the man to Norway, and was killed by him. And now the disappearances of several young Norwegian women start making chilling sense. As Line and Wisting pursue their separate investigations, it gradually becomes apparent that the two mysteries are connected. This is a very good police procedural written by a former cop. I liked it a lot, and thought it had as much to say about life and society as about crime. Recommended. Cautions for mature language and themes. Wisting had found his own way: easy, quiet and patient. He could listen without letting his emotions get in the way, put himself in the other person’s shoes and demonstrate empathy. In time he had learned that, deep inside, all human beings are afraid of being alone. Afraid of loneliness, everyone craved a hearing. 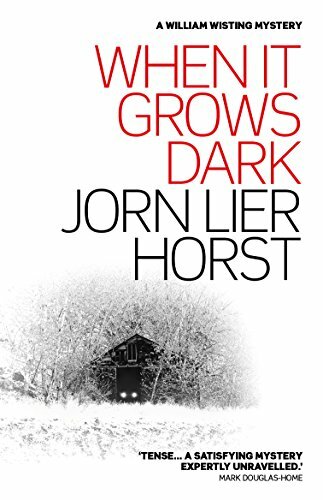 On to the third novel (available in English) in Jørn Lier Horst’s William Wisting police procedural series. 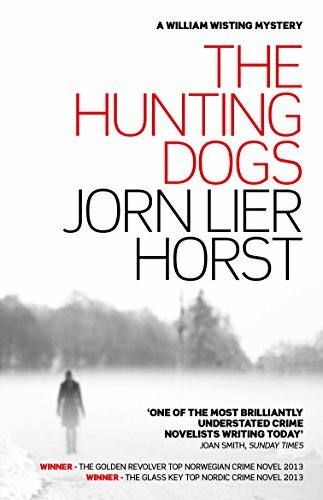 Chief Inspector William Wisting of Larvik, Norway finds himself suspended from the force at the beginning of The Hunting Dogs. 17 years ago he led a team of detectives who built a successful case against a man for the kidnapping and murder of a young model. Now that man is suing, claiming he has proof that the DNA evidence was faked. Before he leaves Wisting manages to persuade the police archivist to lend him the old case files. He knows he didn’t cheat on the case, but what if one of his colleagues did? About the time he leaves, the rest of the squad starts investigating another kidnapping, that of a teenaged girl. The pattern with the Wisting novels is that there are two plot strands. One involves the case Wisting himself is working. But at the same time we follow his journalist daughter Line as she pursues a story of her own, always one that resonates to some extent with her father’s case. This time she’s doing a feature on men who’ve served long (by Norwegian standards) sentences in prison, examining how they have changed, and whether their punishment made them more or less likely to offend again. One of the men she’ll be interviewing is the man who’s suing her father. The drama builds to a frightening confrontation. This was the first novel in the series that I read, and I liked it very much. The reader is left, not only with an entertaining experience, but with human and societal questions to ponder. And yet no overt politics are apparent. Cautions for mature themes and language. Recommended. Investigating a murder case with an unknown perpetrator was like picking the label off a beer bottle. It was never possible to remove it in one piece. Instead it had to be torn off one ragged little section at a time. 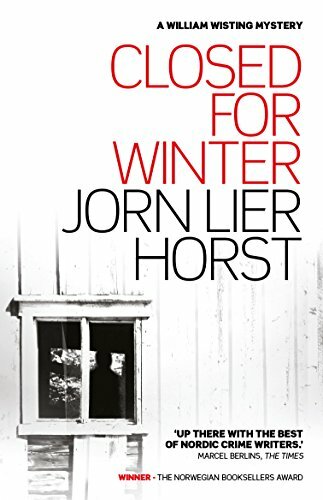 This is the second book available in English, in Jorn Lier Horst’s William Wisting police procedural series, set in Norway. In Closed For Winter, Wisting’s daughter Line, a journalist, has broken up with her slightly shady boyfriend, and is spending time at her father’s seaside cottage. While she’s there, the police are called to a cottage not far away. Several cottages have been broken into and robbed, but in one of them a dead body has been found. The victim has been shot and bludgeoned, and he’s found wearing a balaclava over his face. An ambulance comes to remove the body, but it gets hijacked and set on fire. Then a second gunshot victim is found dead in a beached boat. As Inspector Wisting and his team try to identify the dead and figure out what’s going on, they are also concerned with rumors of tensions among criminal gangs and the plans (revealed by an informant) of a particular gang to rob a bank vault. The plot tension rises constantly, and there are a couple very neat surprises at the end. I liked Closed For Winter. It didn’t have the ordinary feel of Scandinavian Noir. There’s a strong dose of compassion for people forced into crime by poverty, balanced with a steadfast defense of the law. These are character-driven stories, and that pleases me. Recommended. Cautions for language and mature subject matter. You probably recall how I feel about “Scandinavian Noir” mysteries. In general I consider them dank, grotesquely nihilistic, and overrated. However, I recently got a tip about Jorn Lier Horst’s Norwegian series starring Chief Inspector William Wisting (you pronounce the “W’s” as “V’s”). I’m quite enjoying them, to my considerable surprise. William Wisting is a detective in the small community of Larvik, in the general area of Oslo. He’s a widower, has a girlfriend, and gets on well with his two adult children. His daughter Line (pronounced “LEE-neh”) is a newspaper journalist. Although Wisting worries about the risks she takes in her work, he respects her talent and industry, and she’s happy to assist him in his research from time to time.